Novick is an ear, nose and throat specialist who practices in Montreal and is affiliated with the Royal Victoria Hospital. He graduated from BBHS in 1941. After graduation Novick served as a bomber pilot in the 433 Squandron the Royal Canadian Air Force from 1941 to 1945. 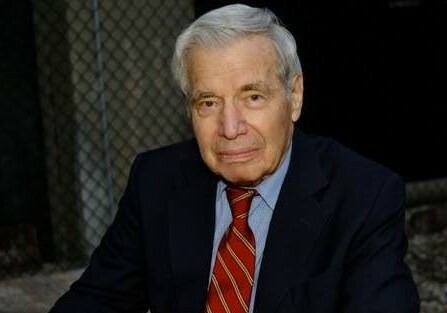 In 1948, Novick was asked by Sydney Shulemson – the most decorated Jewish pilot in the Canadian Air Force, to help with setting up the Israeli Air Force. He interrupted his medical studies at Queens University to volunteer in the Israeli Mahal, piloting a Curtis C46 Commando and bringing urgently needed weapons and dismantled parts for modified Messerschmitts to the Haganah (forerunner of the Israeli defence force). As Novick recalled; “They had sent out emissaries seeking Jewish veterans with combat experience to help when the State of Israel was born. When Sydney called, and we knew each other from the war, I knew things were desperate and I didn’t hesitate”. He remained in Israel for six months after which he returned to his medical studies. Novick was a competitive tennis player and participated in three Maccabi Games representing Canada and winning two bronze medals. Novick has also run in three marathons. He has been involved in fundraising for Maccabi Canada and recruiting young people to experience the Games. Hear Novick talk about his formative years at BBHS.